The tone, texture, and condition of your skin has a direct effect on your health and appearance. Dr. Jody Levine, the director of dermatology at Plastic Surgery & Dermatology of NYC, is a board-certified cosmetic and surgical dermatologist as well as a board-certified pediatrician, making her uniquely qualified to provide comprehensive skin care treatment for all ages. Her exceptional educational background and skilled artistry, in addition to Dr. Elie Levine’s honest and direct surgical approach, allows Drs. 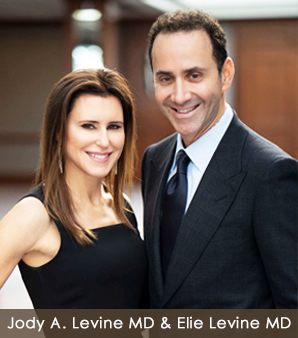 Levine to provide the most comprehensive cosmetic and medical solutions for dermatology in New York.